With the alarming rate at which hackers are targeting businesses, making cybersecurity a priority has never been more important. 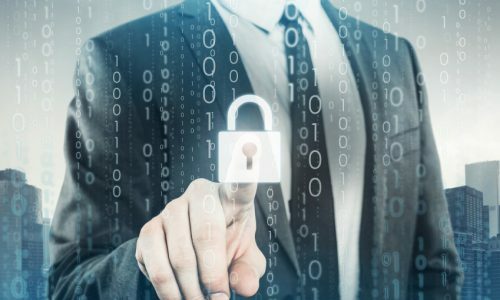 Safeguard your business, your clients’ information and your good reputation by putting some of the following procedures into action to reduce the likelihood of suffering from a cyberattack. All small businesses should invest in some kind of security software. The system you choose will depend on the nature of your business and the complexity of your online operations. Some businesses may find that a very straightforward, off-the-shelf security package is sufficient, while others will need a security company to create a bespoke system that has different levels and layers of security for different areas of the business. When adding new technologies or strands to your business stream, make sure you update your security services at the same time. As well as protection for your business websites and emails services, you'll also want to secure your payment systems and even mobile apps connected to the business. When it comes to your security system, it’s only as strong as the people who use it. Many excellent systems are compromised due to human error, so ensure all employees know the importance of creating strong passwords and keeping them private. Make it harder for malware to be accidentally installed on any of your work computers by limiting the administrative abilities of individual users. Only upper-level management or IT professionals need to be able to install new software, and while this may be a time-consuming process, it could save your business a lot of headaches. Allowing staff to use their own devices has its benefits, as employees tend to be happier, more comfortable and able to work faster with devices they've chosen themselves, but it can also raise potential security problems. Safeguard your business by using wireless encryption, consider cloud solutions for storing regularly accessed sensitive data and ensure staff members understand the importance of locking their devices when not in use. If the worst does happen and your website is hit, you're more likely to be able to recover quickly if you have a contingency plan to follow. Without a process in place, employees are more likely to try to personally solve issues and potentially cause even bigger problems. All security procedures and plans should be fully written out and shared company-wide so everyone knows how to react to an attack. Find out whether your website is vulnerable to attacks with Netregistry's security tool and discover the products that can help you detect, protect and recover from security attacks.